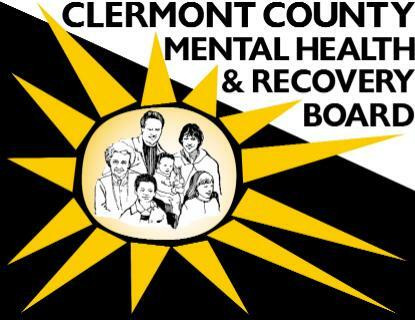 The Clermont County Mental Health & Recovery Board (MHRB) awarded 15 mini-grants to local organizations for the period of July 1, 2017 – June 30, 2018. The MHRB plans, funds, and monitors mental health and substance abuse services locally. 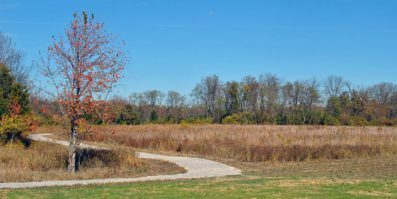 The grants will fund programs that enhance mental health and/or prevent substance use disorders in Clermont County. The grant applications were initially reviewed by a three-member committee. A total of $40,000 was allocated, with maximum funding per project of $4,000. Amelia Elementary School: To help students who are struggling with toxic and traumatic stress and to create a trauma-sensitive school with tools aimed at improving mental health and recovery. Cathy Barney, Artsy Fartsy Saturdays: To help children tap into their creative spirit, find their voice, be comfortable, and safely explore the world around them – things that they may not otherwise find anywhere else. Clermont Northeastern Schools, CNE Rockets Clubs: To engage students in the middle school community and provide a positive outlet for afterschool activities and student accountability. Goshen Middle School, Family Parenting Classes: To help students with identified mental health needs by making connections with parents of students who are having difficulty in school as a result of trauma or other significant issues. Goshen War on Heroin: To provide transportation for addicts to get to recovery-related appointments and to allow for ongoing supportive relationships with those in recovery. Meadowview Elementary, Meadowview MonSTARs: A Positive Behavioral Intervention and Support (PBIS) program that guides implementation of evidence-based practices to improve student behavior and outcomes. PBIS improves student outcomes by improving the school environment, decreasing school discipline issues, and preventing social, emotional, and behavioral issues. Milford Junior High School, Character Day: To engage students in a day of activities that will stretch the students and allow them to see that everyone has a story and to create an environment in which snap judgments and misconceptions are a thing of the past. Milford Exempted Village School District, Success Academy: To provide a blended learning environment, with both online and face-to-face instruction, providing academic, social, and emotional supports that re-engage students in preparing for post-secondary success and meaningful participation in their community. Seipelt Elementary School, Positive Behavioral Intervention and Supports (PBIS): To get students focused on the “SOAR” model of character traits: Safety, Ownership, Attitude, and Respect. The program is intended to improve student outcomes by improving the school environment, decreasing school discipline issues, and preventing social, emotional, and behavioral issues. Surviving Our Loss and Continuing Every Day (SOLACE), SOLACE Scholarship Program: To sponsor and assist individuals seeking to move into recovery housing and provide a support hotline for individuals and families affected by substance use disorders. United Way of Greater Cincinnati-Place Matters, Teens Against Bullying: To engage Williamsburg High School students in a Photovoice project to increase their awareness of bullying and its effects by encouraging reflection and introspection through narrative photography as a prevention intervention. West Clermont Middle School, Thriving Learning Communities (TLC) Program: An evidence-based program that helps students build social and emotional competencies, including self-awareness, development of positive relationships, and responsible decision-making, leading to a positive impact on students’ mental health and well-being. YMCA of Clermont County, Spark Program: To provide youth with programs that support academic achievement, foster healthy growth and development, and help build positive life skills. YWCA of Greater Cincinnati-Eastern Area, House of Peace: To provide therapeutic support groups to survivors of intimate partner violence that is often a result of substance use and post-traumatic stress disorders. YWCA of Greater Cincinnati-Eastern Area, Transform Adolescent: To help adolescents who are at risk for violent behaviors, including domestic violence, gang violence, dating violence, school violence and other types of violent or abusive behaviors. Additional information on the mini-grant awards, the programs, and about mental health or substance use disorders can be obtained by contacting the Mental Health & Recovery Board at 513.732.5400 or visiting their website at www.ccmhrb.org.